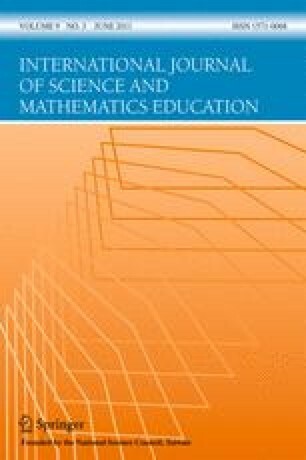 The purpose of the current study was to explore learners’ evaluation of the credibility of scientific models that represent natural entities and phenomena. Participants were 845 students in grades 9 – 11 (aged 15 – 17 years) and 108 prospective science teachers in Oman, totaling 953 students. A survey called Epistemologies about the Credibility of Scientific Models was designed to explore participants’ epistemological positions regarding the credibility of scientific models. This instrument was based on a credibility taxonomy proposed by the author. This taxonomy was composed of four epistemological levels: certainty, imaginary, suspicious, and denial; thus, it was called the CISD taxonomy. Findings revealed that natural entities and phenomena were assigned to CISD levels according to their level of abstractness. This level of abstractness is usually constructed by the most frequently used models to represent each natural entity or phenomenon. For instance, entities, which were usually represented by photographs or micrographs, such as meteors and meteorites, blood cells and bacteria, fell at the certainty level. On the other hand, theoretical entities such as electron cloud and photons had a high suspicious–denial combinational level. Some entities, with possible competing concrete–abstract parallel nature of the scientific models that represent them, had both high certainty and suspicious–denial levels. The overall students’ epistemological perceptions across grade levels showed a decrease in the certainty level and an increase in the imaginary level. It might also be plausible to conclude that new, detailed microscopic and more abstract knowledge raised the suspicious and denial levels of some entities. Further research based on qualitative research methodologies is needed to explore these findings.